EDGE were appointed by Sytner Group to fulfil the role of Employer’s Agent and Cost Manager on their prestigious new BMW dealership development in Tamworth. Our duties included pre-tender cost planning, feasibility options, compilation of the project budget, assistance with the procurement/selection of the project team and specialist consultants, programme advice, compilation of the Employer’s Requirements documentation, coordination of the design team, management of the tender process including tender list, tender analysis and recommendation for contractor selection and contract sum. 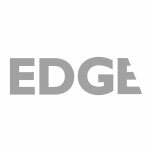 During the post contract phase, EDGE fulfilled the role of Contract Administrator and Cost Manager. This included chairing regular project progress meetings, monitoring progress and cost reporting, undertaking monthly valuations, management of variations, liaison with project stakeholders, coordination of project snagging and project handover process and agreement of final account. The project delivery was dependent on the timely integration of a substantial amount of trade packages procured independently of the building contract. We refer to these as dealer directs. EDGE provided Sytner with support in procuring these specialist trades including compilation of the brief, commentary, analysis and recommendation on proposals received, monitoring of site progress within the overall programme and at project completion. EDGE is an integral member of Sytner's project delivery team. A strong professional relationship with Sytner has enabled us to develop a thorough understanding of Sytner's key requirements and objectives. We adopt a proactive rather than reactive approach and endeavour to 'go the extra mile' to reach these objectives. Our principal contacts are always happy to talk to you. If you have any questions about our work in this sector or wish to discuss a new project please get in touch.